In order to stimulate innovation, we as teachers should be fostering student-interest, facilitating student-inquiry, and empowering student-directed challenges and projects, while mentoring them throughout the process. After all, if we don't allow our students to play, to explore, to experiment, to question ... Who will be the next Steve Jobs? After recently attending the 2011 Siemens Competition National Finals at George Washington University, I have gained new insight into the minds of our brightest and most ambitious high school students in the fields of math, science, and technology. 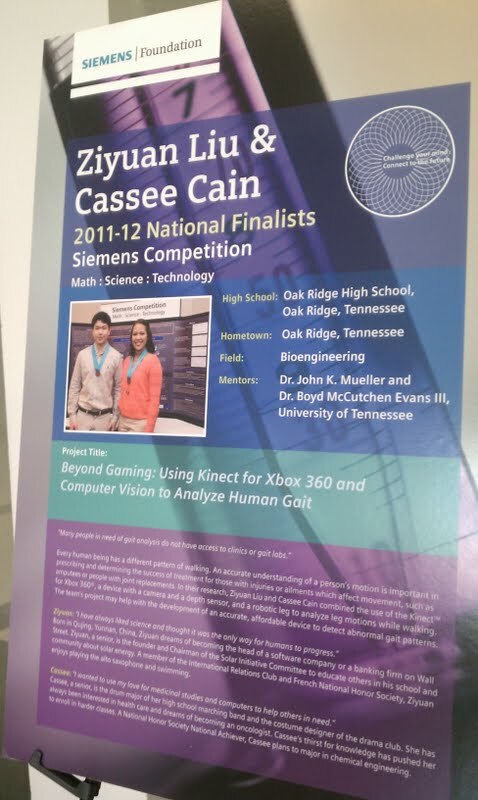 One of the projects that was selected as a National Finalist was titled, Beyond Gaming: Using Kinect for XBOX 360 and Computer Vision to Analyze Human Gait. 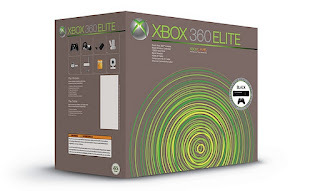 This project was the Team Competition Winner of the 2011 Siemens Competition. Every human being has a different pattern of walking. An accurate understanding of a person's motion is important for prescribing and determining the success of treatment for those with injuries or ailments which affect movement, such as amputees or people with joint replacements. 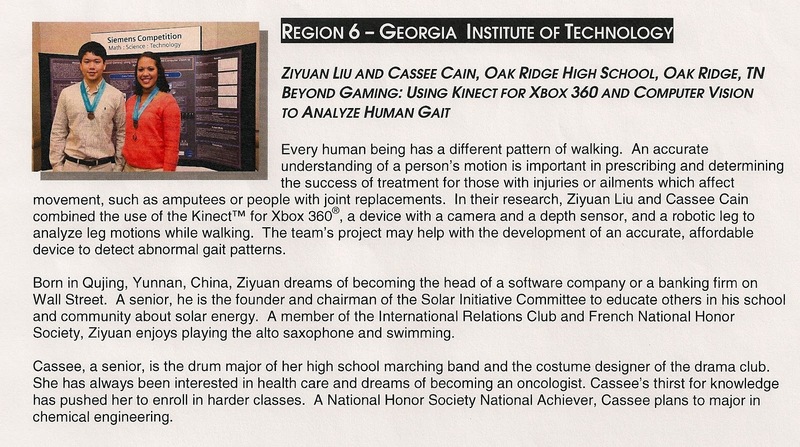 In their research, Ziyuan Liu and Casserole Cain combined the use of Kinect for XBOX 360, a device with a camera and a depth sensor, and a robotic leg to analyze leg motions while walking. The team's project may help with the development of an accurate, affordable device to detect abnormal gait patterns. This project is a perfect example of how our students can use their own innovation to make gains in human development. These students solved a problem with everyday, available resources to which they had access. These students took the idea of motion detecting and made significant gains in human development from a gaming system device. This is just ONE example of what our students are capable of doing if we facilitate their outside of the box thinking. 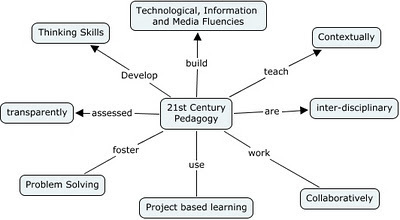 Putting knowledge into action is the keystone of a new era in research and technology. If we want to continue thriving as an innovative nation, then it is imperative that we motivate, encourage, and guide our students to harness their inquiry and ambition to overcome mankind's global challenges of tomorrow. Teaching is the only profession that creates professions, and stimulates progress in all other professions. We as teachers have the powerful responsibility to inspire our students to make advancements in technology so that we remain competitive as a nation in the global community. Here is a Graphic Organizer to help conceptualize strategies for teaching innovation. 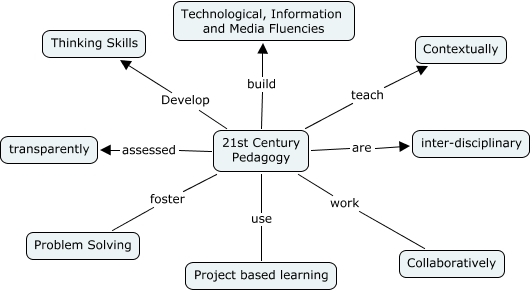 As an advocate of project-based learning and challenge-based learning, I have accumulated lots of different online resources that I frequently use with my students. The best thing about these resources, is that they can be used and applied to any topic, in any subject area. Below, you will find a list of my favorite FREE online tools, applications and resources that are perfect for student-directed learning.